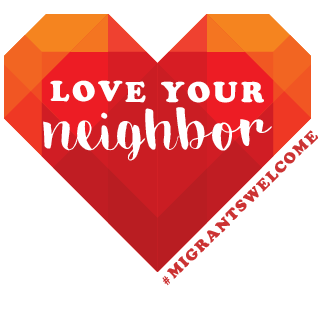 While Valentine’s Day is often a chance to celebrate one’s love for that special someone, it is a good time to also consider how we as a country show our love for our neighbors — including immigrant and refugee members of our communities. I join the Ignatian Solidarity Network in asking for compassionate immigration policies that support family unity, provide a pathway to citizenship for DACA recipients and other undocumented young people, and promote humane and just treatment of those who migrate. I also call on Congress to rethink policy proposals that unnecessarily militarize the border and increase the vulnerability of individuals fleeing their countries in search of safety. I hope that these principles will guide your decisions on potential immigration legislation debated in the next few weeks and that I can continue to dialogue with you about humane immigration policies that affirm the inherent dignity of all immigrants and refugees into the future.